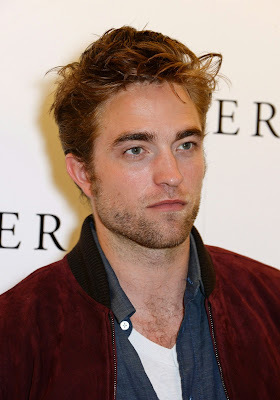 With The Rover in cinemas from Friday August 15, Robert Pattinson talks about working with co-star Guy Pearce on the Outback thriller. How was shooting in rural Australia? Robert Pattinson: For me it was really fun. It was kind of relaxing. I loved shooting out there. There was no pressure, and no one around. Was it a relief getting away from people? Yeah, just in terms of performance. I like doing little things before a take, sort of staying in character a little bit, and if you've got a bunch of people trying to take pictures of you doing a stupid face or something, then you've just constantly got it in your head, and you're never really quite in what you want to do. Out there you can kind of do anything you want. They might think you're a weirdo, this guy doing all this weird stuff (laughs), but it was quite freeing. Did you enjoy playing a less beautiful character? Yeah, I mean it takes away constraints. If someone's saying, 'You've got to look pretty!' for one thing you feel like a bit of an idiot, because you're a guy, and then you're kind of thinking about stuff that really doesn't mean anything – you're just posing. As soon as you take away the allowance for your own vanity, then it's kind of a relief. How would you describe the themes of The Rover? I think it's just a story about survivors. I think they're quite simple people in extraordinary circumstances. They're trying to figure out how to live when it seems like there's not a lot of hope. It seems like there's nothing to do tomorrow, so what are you supposed to do at any point during your day? Even the gang I'm in, they're stealing money and there's nothing to use the money for at all (laughs). Eric [Guy Pearce] says, 'It's worthless, it's just paper'. It's very difficult to know why to keep living if everything seems totally worthless, and yet people do. Did you enjoy working with Guy on this? Yeah it was amazing. Because the whole crew was staying in the same place and there was nothing else to do, we were living in a pub (laughs). It's annoying – If you're in an unfamiliar city and all the people you work with are from that city, they all go home, so you're just stuck in your hotel. When you can hang out with a bunch of new people, you get close to them really quickly, especially when there's literally nothing else to do. It's really fun. I hadn't done that for a long time. I had a fantastic experience making this film.